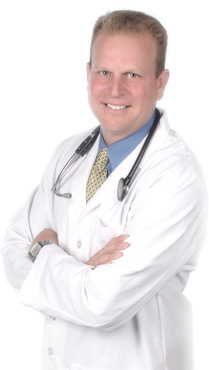 Dr. Myers has been in private practice since 1992. He is a graduate of Bastyr University and completed his residency at the Bastyr Center for Natural Health, one of the largest naturopathic treatment facilities in the United States. Dr. Myers provides holistic care using natural therapies for the prevention and treatment of cardiovascular disease, cancer, diabetes and obesity. Speaking to audiences worldwide, Dr. Myers communicates the value of taking simple health measures to promote wellness. Dr. Myers is a down-to-earth, audience-focused speaker. His genuine manner inspires his listeners to take valuable health-related information and apply it to their daily lives. As a recognized expert on natural medicines, Dr. Myers is viewed as one of the world’s top experts in the formulation of dietary supplements and their scientific substantiation. He is responsible for the nutritional formulation of the General Mills products, Total and Wheaties. Dr. Myers has formulated several complete nutritional lines for global companies and developed many successful products. He has authored numerous patents ranging from arthritis and weight management to cardiovascular care and pet nutrition. He has coordinated clinical trials evaluating the effectiveness of natural products in the treatment of obesity, prostate disease and cardiovascular problems. He has appeared in numerous forms of media including repeat appearances on QVC both in the United States and the United Kingdom. Dr. Myers is the President and Chief Science officer of NutraGenetics, a global product development company founded by Nobel Laureate in medicine Dr. Louis Ignarro. He is the founder and CEO of Simple Health Value. Dr. Myers has recently coauthored a new book, Health is Wealth with Dr. Ignarro which illuminates the link between nutritional deficiency and progression of degenerative disease. For more information go to www.HealthIsWealth.net.